Welp, my boy took down his 1st rat last night without issue. We breaking records on the daily over here. Last edited by Shayne; 04-10-2019 at 12:43 AM. What a good snake! But you get credit too, helping him settle in so fast. Good stuff! I tried making the switch last night, without success. I got the "sniff, sniff... turned away... that is not a mouse" response. For those trying, go to the pet store and get used mice bedding and let the rats run around in it for a few hours. This worked great for my two guys. Hope the change to rats plus the colour change won't be too much of a difference . Last edited by Rufus73; 04-10-2019 at 08:14 AM. Congrats on your snake eating! 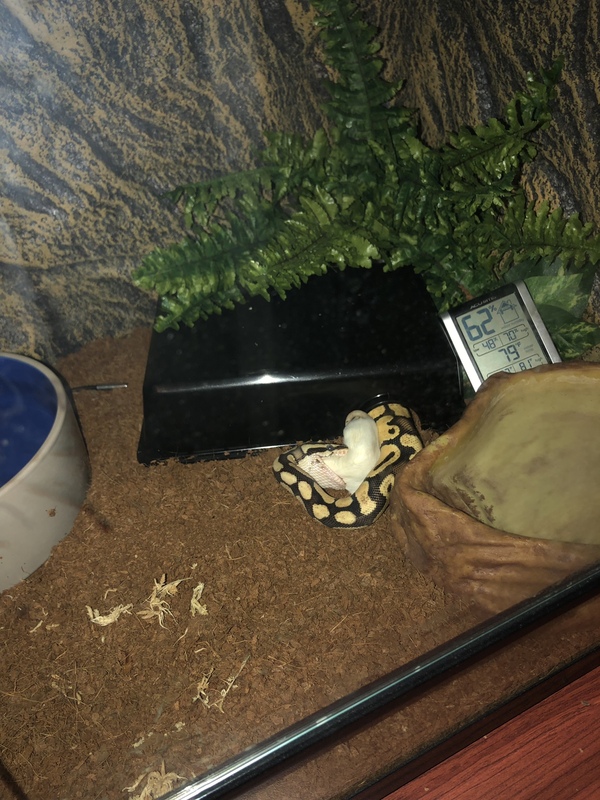 I always love to see a ball python eat as mine just came off a 7 month strike from eating, so a eating ball python is a nice sight to see. Thanks! Yea, he was on "live" when I got him last December, then I went straight to F/T mice for 4 months and now we're doin' the "rat" thang. He's such a good boy. Thanks!! Glad to hear the strike is finally over! That's a good stretch, 7 months. So the switch she came out had a few sniffs thought this isn't a mouse and it's the wrong colour ,went back in her hide and totally blanked it . Woke up the next morning and the rat had gone so I'm taking that as a win .